This is part 1 of the 3 part the makeup remover series. See part 2 here and part 3 here. 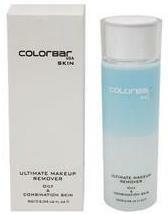 All these makeup removers can be found at beauty shops and online shopping websites. Look out for part II of the series which covers makeup removers from high end, herbal and lesser known brands. Part 2 here. See reviews of Bioderma Sensibio, Sebium and Hydobio makeup removers in part 3. Nivea Men Advanced Whitening Dark Spot Reduction Moisturiser Safe?